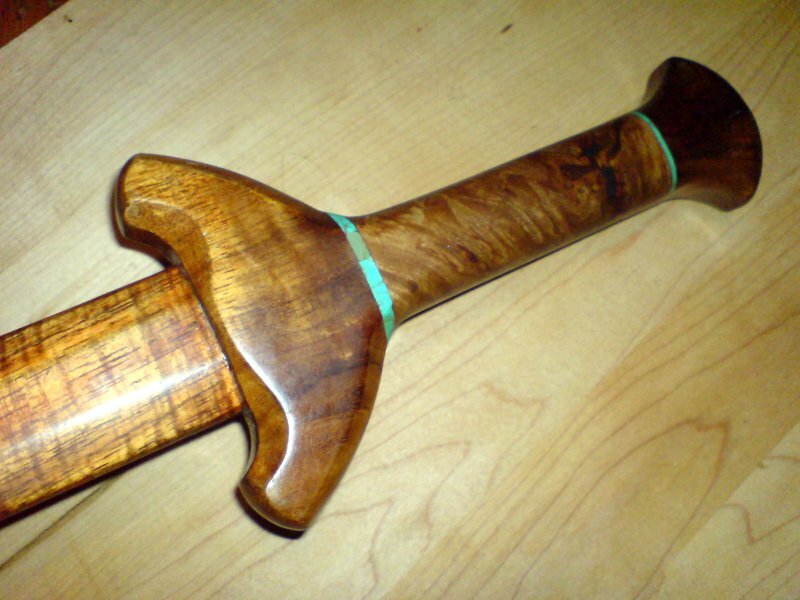 Written by mark_bartlett on Jan. 13, 2015 in Swordmaking, Tai Chi Swords. Images of the Tiger Striped Koa Tai Chi Jain. Edge view of blade showing laminated carbon fiber... Please click on the image to view. View of lower 1/3 of blade... Please click on the image to view. 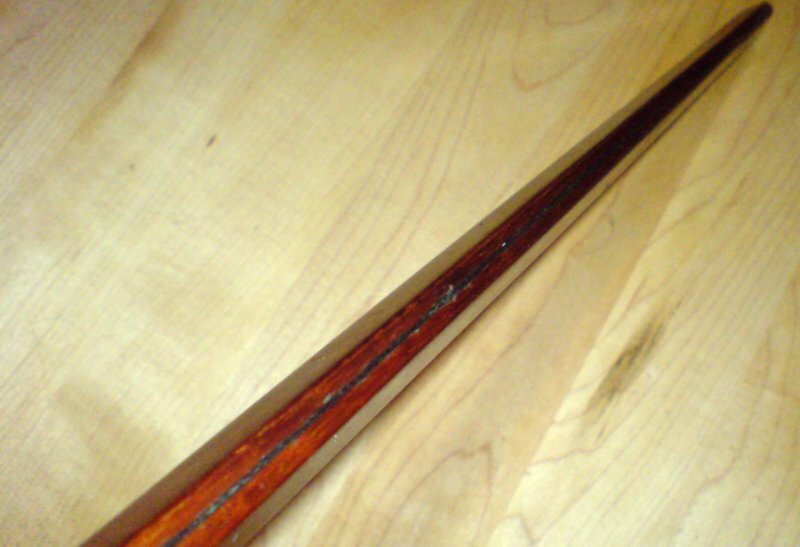 Koa, Big Leaf Maple & Turquoise handle... Please click on the image to view. 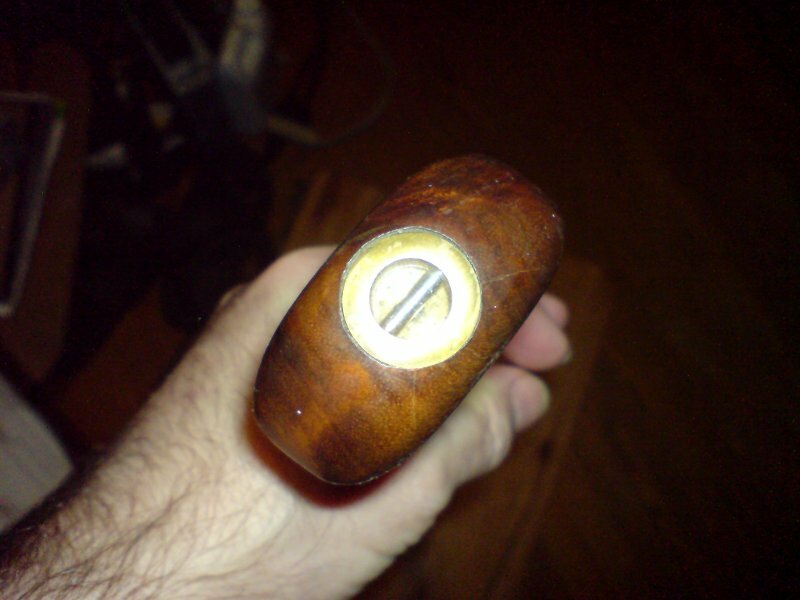 End photo showing the brass nut & lanyard holder that is flush to the pommel. .. Please click on the image to view.